I want to share an idea with you that’s really helped shed a lot of light on some of those behaviors. In our (pay-what-you-can) upcoming Virtual Parenting Support Course, we’ll be talking more about these hidden stories and how you can actually work with them. But I’m going to give you some of the pieces today. It’s important and could really help someone you love. 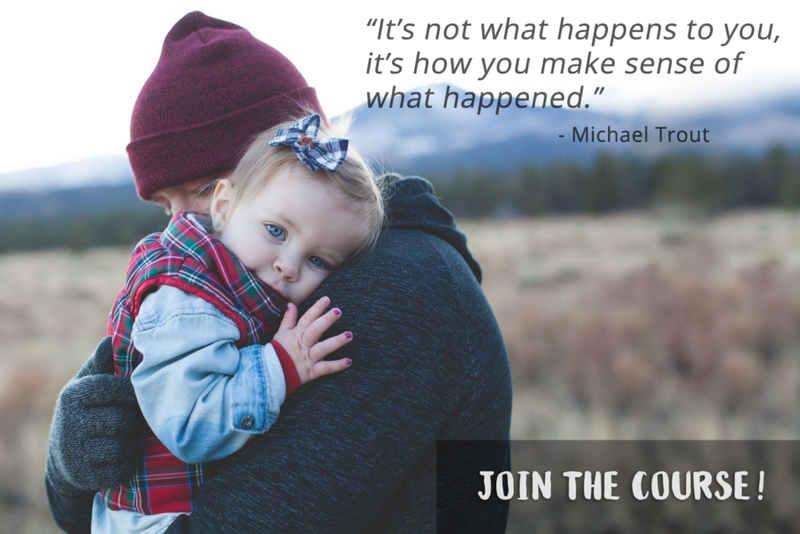 Last week, I had the opportunity to listen to Michael Trout of Infant-Parent.com. He’s been working with families as a psychologist for decades. He shared the idea of what I call a “hidden story,” which isn’t an historical story or one based on the facts of an experience. It’s how the person made sense of what happened. It’s the story a child creates to make sense of what’s happened in his or her life, and it can begin when the child is very, very young. It happens when the child is primarily living in their right (emotional) brain, not the left (logical) brain. The things that happen later only reinforce this story, and the story can’t be changed by logic. As an example, Jonathan, who is now 4, was adopted when he was 4 months old. The story he’s showing us, that we can see, is that he feels unlovable at his core because of the circumstances surrounding being given up for adoption by his birth mother. His parents love him very much and have tried to convince him that many people love him. They have tried everything they can think of to “logic him” out of the feeling, but it doesn’t work. In the meantime, Jonathan is doing everything he can to make that story he is feeling true, and to show us just how unlovable he can be. He regularly tears up the house, spits on people, throws things, and hurts others. He isn’t trying to make his parents’ life difficult, even though it feels that way. He’s communicating how he’s feeling inside – how he’s feeling about himself. When we miss the story, we react to the behaviors. How do you think Jonathan feels about himself when his parents isolate him in time-out? Or spank him? Or yell at him? Unknowingly and unintentionally, they’ve just reinforced his belief about himself as unlovable. Yes, he still needs boundaries and to learn what’s appropriate, but the story he’s telling himself needs to be addressed, and he needs help to make sense of what’s happened to him. His parents have been using their left (logical) brains to try to reason with Jonathan and tell him that his birth mother loved him and just couldn’t care for him. His parents have been using their logical brains to help him try to learn appropriate behaviors. But Jonathan is in his right brain where the story and the emotions live, and he doesn’t respond to the logic. These hidden stories don’t go away just because our bodies grow. In fact, the opposite happens. The stories become more entrenched and more rigid in the process. The stories, even if they’re not factually true, become a part of us. The preschooler who feels unlovable can become the grown-up who still feels unlovable and finds other ways to (unconsciously) prove just how unlovable he is. He might unconsciously sabotage his relationship with his spouse or kids. Maybe he’ll drink to excess or lose his job because he isn’t staying focused. He may recreate situations that reinforce his idea of who he is – that hidden story – even if it hurts him. Maybe even because it does. These stories aren’t limited to a child who had a traumatic beginning like adoption can be. These stories happen with most of us. The child with a depressed mother might learn that there’s no room for her feelings because no one can see them anyway. As a result, she may believe no one can really see her and she isn’t worthy of others’ time and attention. OR the same child may learn that she needs to speak up more for herself and that she is worthy of being seen. It depends on how she makes sense of what happened. A child who nearly died during birth may feel powerless OR may take on a story of how strong and resilient he is. It depends on how he makes sense of what happened in his body. When we recognize that there is a story that’s showing up, we need to respond to the story and the emotional brain instead of the logical brain. I use an approach I call Healing Stories, which creates the space for your child to show you her experience as a story. The younger our children are, the easier it is to change the course of these stories for us and for them, but it is never too late to change the story. The stories look different at different ages, as does the process. In our course, we’ll be looking at what Healing Stories are and the basics for these stories and how to tell them with your own kids. We’re offering a virtual support class for moms* (and partners) to help you make sense of your child’s challenging behaviors so parenting can feel better for everyone. Kids can throw some really interesting behaviors at you. It’s easy to feel like you’re drowning in advice that isn’t helpful. Maybe you secretly worry that your child will never be a functional adult, even if she’s still in elementary school. 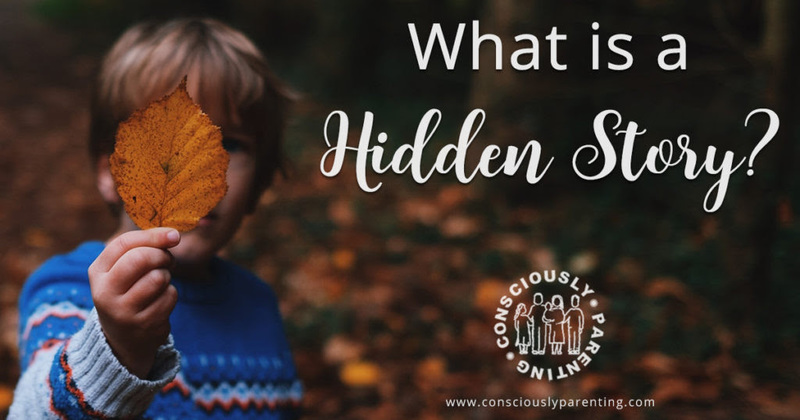 Join the hundreds of parents who have successfully applied our approach over the last 10 years and helped their kids by understanding the Hidden Story. Registration closes Friday, February 2, 2018! *We say moms for simplicity, but we mean any primary caregiver. It could be dad, grandma or grandpa, foster parents, future adoptive parents. Anyone who is primarily caring for a child.